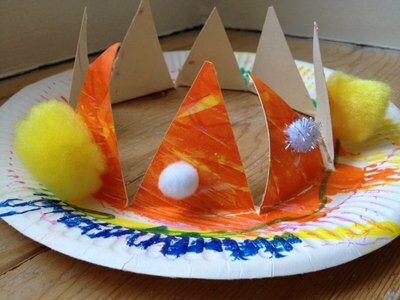 Be the King or Queen of the castle with this simple crown made from a paper plate. 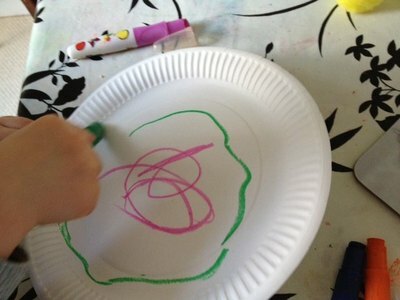 Let your child paint or scribble all over a paper plate. Choose one colour or experiment with lots. 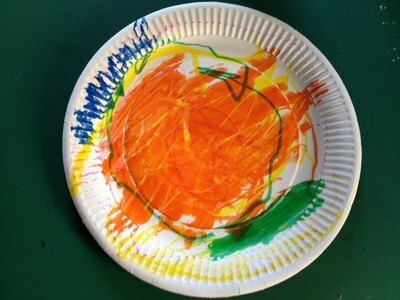 If you're painting you could also try stamping or just fun finger painting. 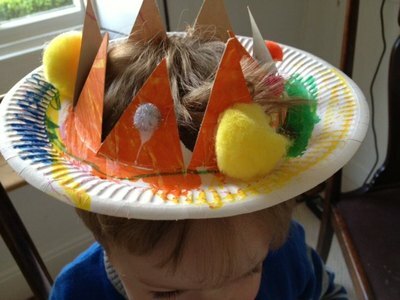 When your child is happy with their design it's ready to transform into a crown. 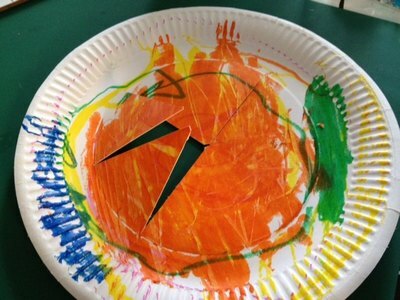 Make four slices as if you were cutting a cake into segments but keep to the central part of the paper plate and don't cut through the rim. You can use scissors but if you have a craft knife this will make it quicker and easier to do. 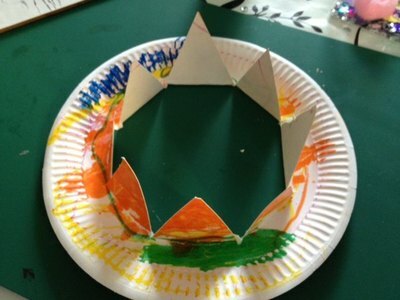 Fold up the triangles to make the points of the crown. Add some extra decorations on the triangles. Try pom poms, sequins or glitter.